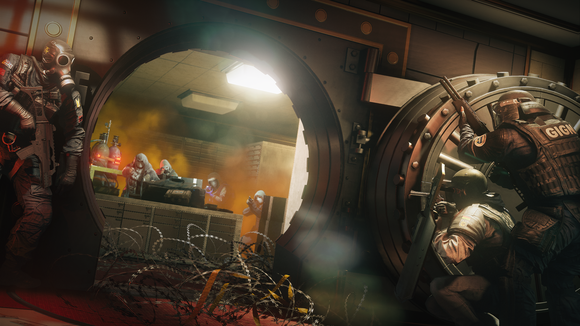 We check out the game's full list of Operators, plus "singleplayer" mode. 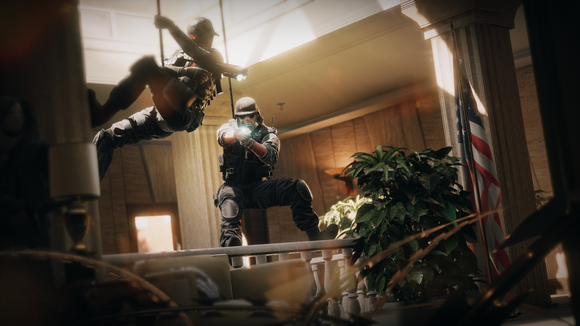 Rainbow Six Siege was originally supposed to release last week. Instead, Ubisoft delayed the game to December and brought me into their office to play five tense, swearing-filled hours. Seriously, I swore a lot. There's not much new to look at, given the game’s already gone through both an alpha and beta that were about as open as either could possibly get while still being called closed. We did check out the game’s new “singleplayer” mode, as well as what I think is the full roster of Operators you can play as. Oh, and the game crashed quite a few times, which makes me glad it was pushed back. Well, Ubisoft built a singleplayer mode. Sort of. A few months back Ubisoft said Rainbow Six Siege would not ship with a singleplayer campaign, and as far as I know that’s still the case. Instead you get—and this should really not be a surprise—objectives on the same maps used for multiplayer. The airplane level, for instance, has you hunting down and killing all terrorists on-board. Do it, and you win. Do it while fulfilling some light challenges (like killing a certain number of terrorists while leaning) and you’ll get shiny gold stars! I honestly can’t imagine anyone playing this mode for longer than it takes to get used to the controls. And I don’t think Ubisoft thinks people will stick around either—it was pretty explicitly demonstrated to us as an extended tutorial. Except we played it for an hour and a half, which is about an hour too long. I don’t think the AI is bad. I don’t think the challenges are ill-constructed. I don’t think it’s too easy—quite the opposite. I actually struggled with one of the levels on Normal difficulty, with two more above that. But it’s the equivalent of playing bot matches in Counter-Strike. Sure, you might learn something, but it’s by no means a riveting experience. Especially given that you can play the same scenarios in four-player co-op, which is exponentially more fun. Singleplayer also limits you to playing as a particular Operator (Rainbow Six Siege’s name for classes) on each map. The guy who senses electronics through walls is always on the map filled with C4 and crazy cultists. When trying to rescue the hostage guarded by a suicide bomber you’re always the sniper. Et cetera. 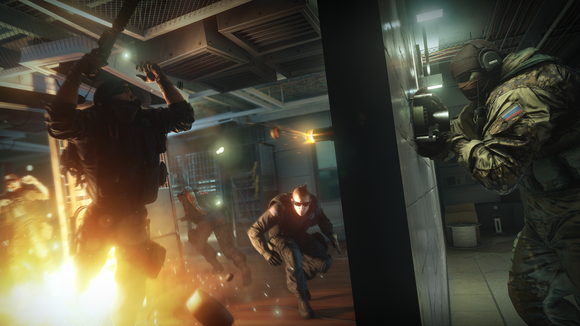 Co-op and player-versus-player modes let you choose between all the Operators, split between Defensive and Offensive classes. This isn’t anything new—it’s been in both the game’s alpha and beta. But the system gets more and more interesting with every Operator added to the roster. 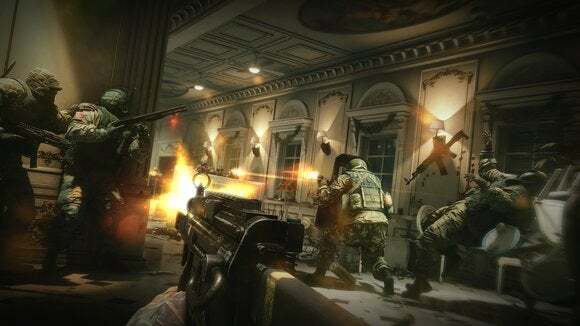 The version we played was, I imagine, feature-complete—meaning the game will have around two-dozen Operators at launch. What you start to see is some very MOBA-like behavior. Yes, in a shooter. It’s a disservice to call this a class system, because that usually implies four or five roles with some amount of overlap. Operators are very similar to the heroes you’d find in League of Legends or Dota 2—each has a name, each has a special ability, each has a weakness, and there can be only one of each character per game. Other shooters are taking this approach as well, from Overwatch to Battleborn. But the difference is I don’t see Rainbow Six making a big deal out of this aspect, or trying to sell you on the characters and their personalities. It sets up a very unique meta-game, though. You pick new Operators between each round, and what you end up seeing is teams adapting to—or even trying to predict—the other team’s behavior. They like shields? Bring a lot of grenades. They like hiding the hostage in the basement? Make sure you bring the Operator with the extra breaching charges. Fond of reinforced walls? Bring the guy with the thermite charges. 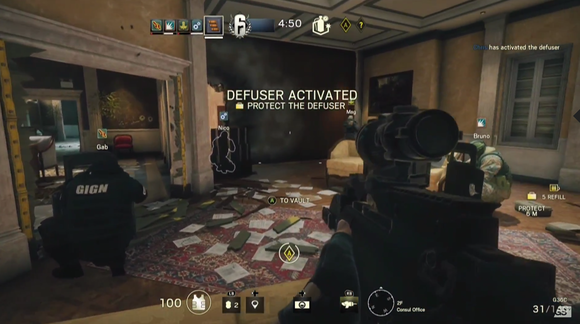 This extra layer of strategy is what will separate decent teams from the real pros in Rainbow Six Siege. You can’t just pick a favorite character and play him or her well—or, at least, you shouldn’t. Doing so means playing a suboptimal build in a constantly-evolving encounter. What I’ve thought about most though—and forgive me for indulging in some inside-baseball here—is how strange press events are for this style of game. At a press event, we all want to win. We all want to succeed. Press events are, it’s worth reiterating, a magical place where you see the game in (hopefully) its best light. And that’s doubly true of multiplayer games, where you are set up to succeed. We all had headsets, we all had mics. One of the people on my team was fond of saying “Roger” as if he were auditioning for the next Call of Duty. 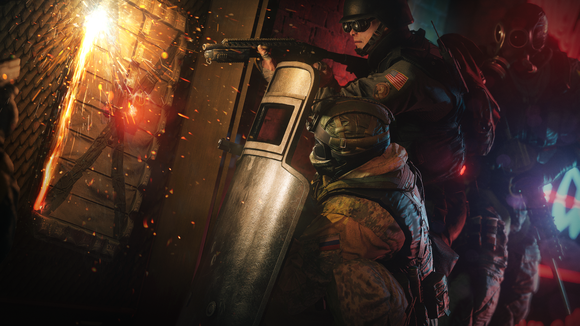 For a game like Rainbow Six Siege, that level of cooperation and communication is paramount. Whether you’ll actually end up encountering that level of cooperation in the real world? Well...probably not. Unless you have friends you’re already planning to play with—maybe ones you’ve carried over from Payday 2 or something similarly tactical. I hope for your sake that’s the case. My thoughts on Rainbow Six Siege haven’t changed much. I still think it’s the most interesting shooter we’ve yet seen since the new consoles launched—because developers used the new hardware to advance game mechanics for once, instead of merely pumping graphics. Look for the game to launch December 1, barring anymore last-minute delays.